Whaaaat's uuuuup guuuuys? It's sunday, yayayayay! That means that it's a new week tomorrow, aweyeah! It's day 21 in the 31 Day Challenge so this manicure is inspired by a color. So the polish I was inspired by is WingDustCollections Breathing Under Water and it is simply amazing. 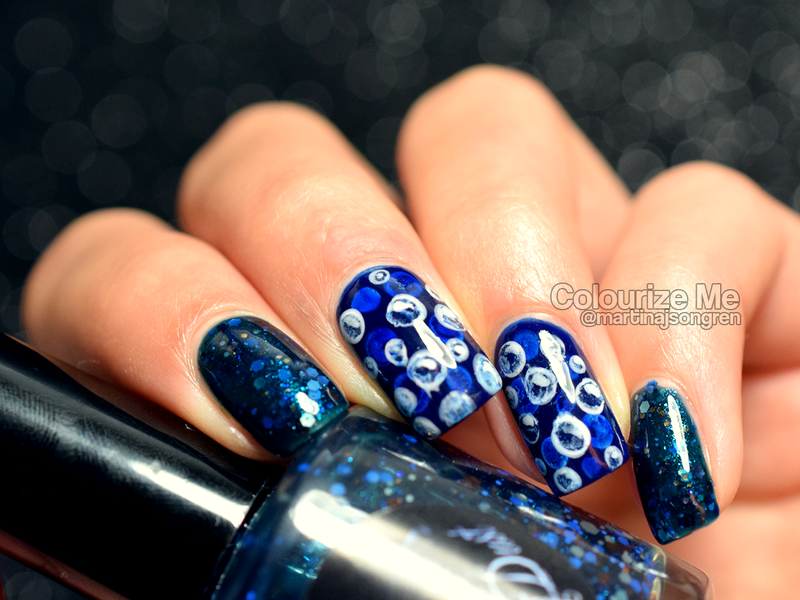 It's a blue jelly with glitters in different blue hues and some brown glitters. The brown glitter gives the polish so much depth and makes it really unique. It's beautiful! I used 3 coats, 'cause it is a jelly and my nails are stained, so the polish looked a bit green in the undertone due to my yellow nails. So when you breath under water you'll create air bubbles, right? Why not combine a bubble manicure and a pond manicure?! I started with Ciaté Power Dressing. I applied two coats, 'cause I wasn't sure if I could use it for a pond manicure. It is quite opaque. Then I thinned out some white polish with acetone and made dots and then I used a q-tip or a small nail art brush (depending on the size of the dot) to soak up the wet polish in the middle of the dot. I did 1-3 dots at a time 'cause otherwise the dots dried too much and I couldn't soak up enough polish. I applied another (thin) coat of Power Dressing and let it dry before I made a new layer of dots. I added a little glare-shine-highlight-thingie and finished with a top coat. 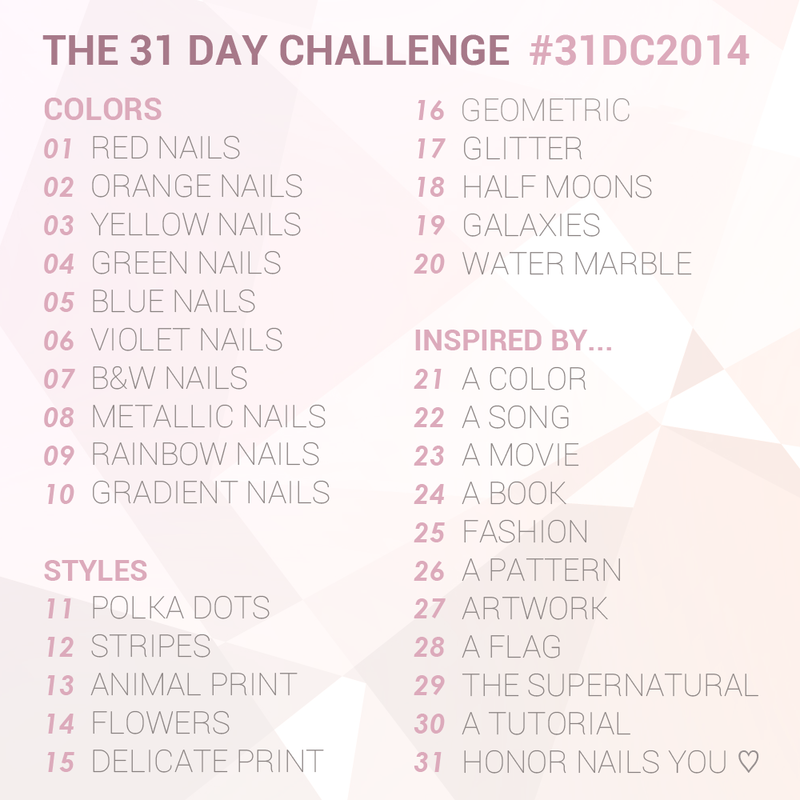 Check out day 21 from last years challenge, click click! Jag måste test göra sådana där bubblor någon gång. Fiint!